Don’t let that face fool you: I love the BBC Children In Need appeal each year. As far as I’m concerned, there’s no better excuse to spend a night on the sofa than to watch some of the biggest names in entertainment putting on a super-special show, all in aid of disadvantaged kids. I mean … do you have better things to do on a cold November evening? Of course not. 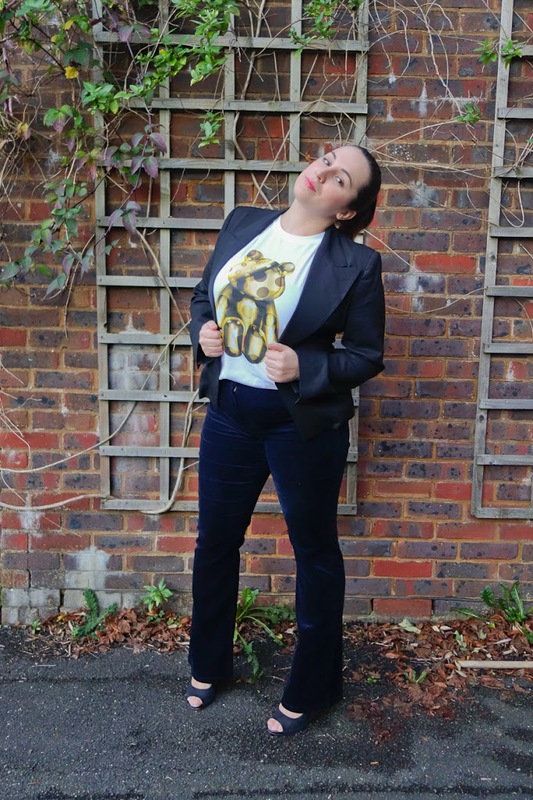 And this year is even better because Children In Need mascot Pudsey Bear has had a shiny, golden, disco makeover from none other than Giles Deacon (only one of my favourite designers in the world EVER, no biggie). 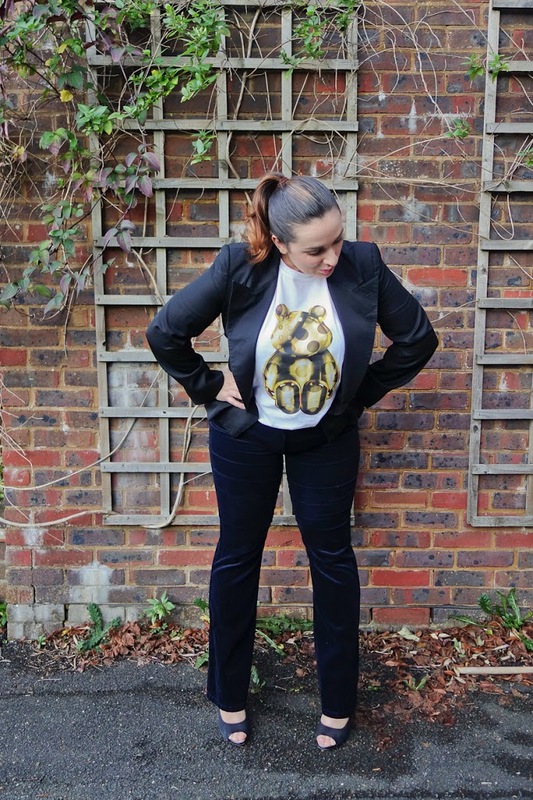 I have to say, I think it’s the best Pudsey has looked in years – we all need a helping hand sometimes, but we don’t all have Giles on speed dial. Props to the Children In Need team for getting him on board! 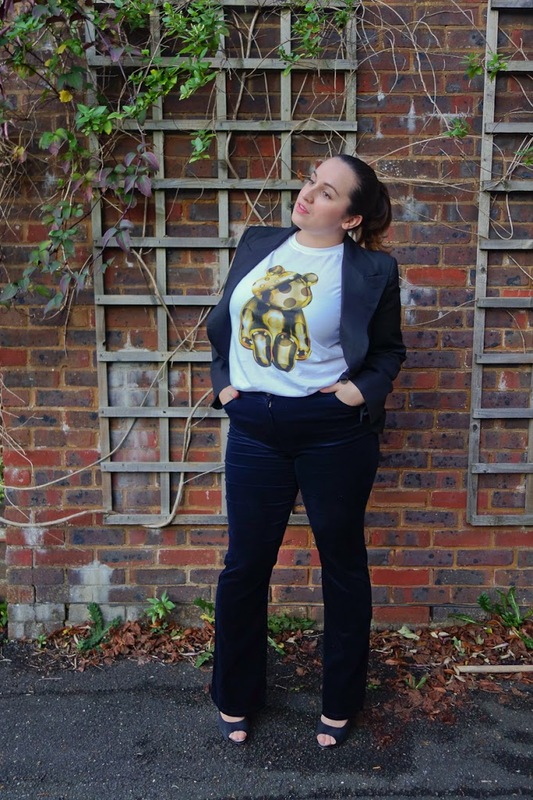 So when my Giles-approved Pudsey tee arrived in the post the same day as my new navy velvet flares from M&S, it was like fate had brought them together for a super-quick outfit shoot. And I really do mean super-quick – I had Mini-Me shoot this in the half an hour before we completely lost the light today. 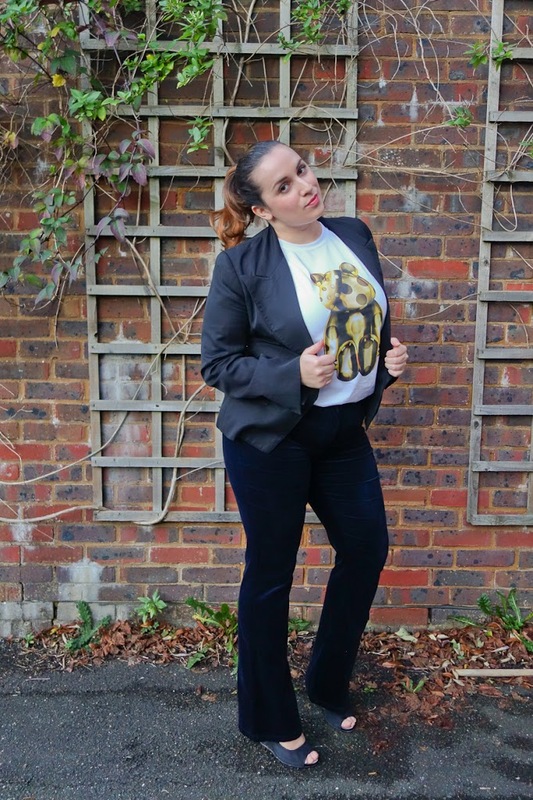 You can also see Charlotte’s own Pudsey x Giles tee and how she styled it over on her own blog. For now, enjoy a few more shots of me posing awkwardly. 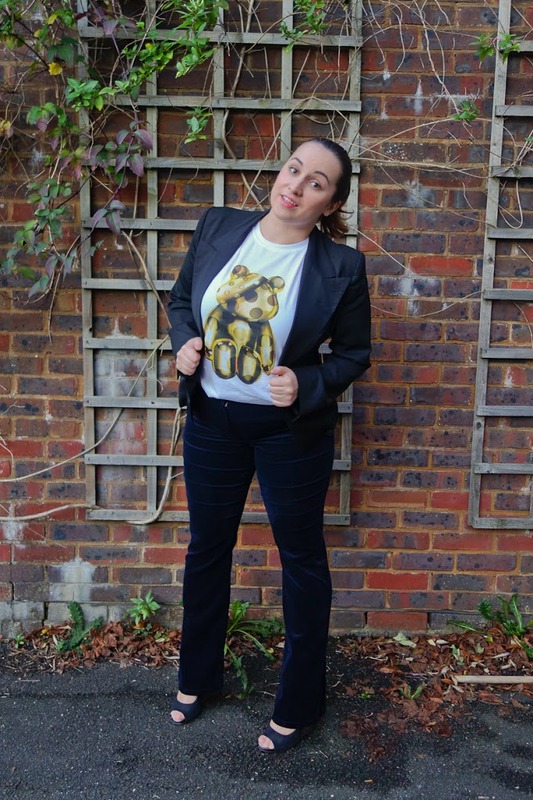 How would you style the Children In Need tee? And don’t forget to tune in to Children In Need tonight on BBC One from 7.30pm and make a donation, even if it’s just a couple of pounds – every little bit really does help the neediest children.